With huge, vivid 1952 Topps Baseball Card Set, Bowman now had a competitor and “The Great Bubble Gum Card War” was underway. Topps entered the baseball card market to sell its gum and the “Golden Era of Baseball” had begun. What followed were set after set of beautiful baseball cards, as the Boys of the Baby Boom Generation became old enough to dscover the national pastime. 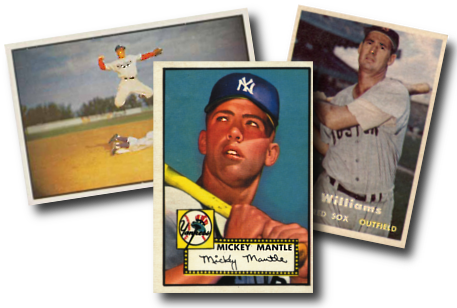 The most popular baseball card sets of the 1950s include: The 1951 Bowman set, featuring the Mickey Mantle and Willie Mays Rookie Cards, the bigger than life 1952 Topps Set, and color photography of the 1953 Bowman cards. The hobby was launched and we are still enjoying it today. 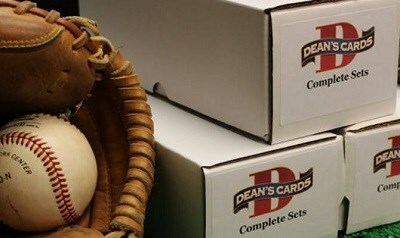 Click here if you want to SELL your baseball cards to Dean's Cards.